What a pleasure it is to taste older vintages of Le Pergole Torte (loosely translated, “the rickety or dodgy canopies”), one of my five or six favorite Italian wines. The 1988, blessed with what I think is one of the prettiest of Alberto Manfredi’s many wonderful labels, is still a remarkably solid, youthful wine made while Montevertine founder Sergio Manetti was still alive. 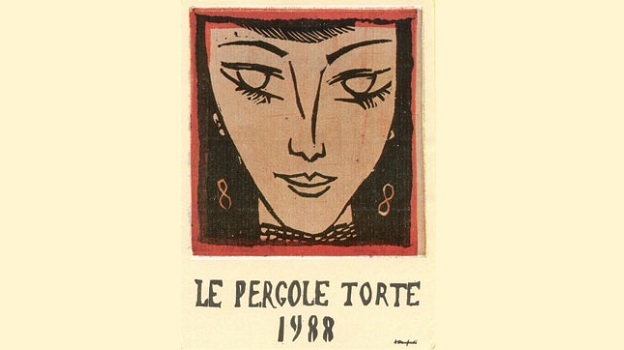 Taken from my best, coolest cellar, this bottle of 1988 Le Pergole Torte is remarkably youthful, offering deep red cherry and licorice aromas with surprisingly little in the way of tertiary development (no notes of porcini or underbrush, for example), then fresh and vibrant flavors of red cherry, sweet spices and black tea. As is almost always the case with the 1988, there is a very lively, almost disjointed acidity for the amount of fruit present, and this bottle is not different. Though not quite in the league of the legendary Le Pergole Torte 1990 Riserva, this 1988 is still a Sangiovese lover’s delight. 93/Drinking window: 2015-2030.